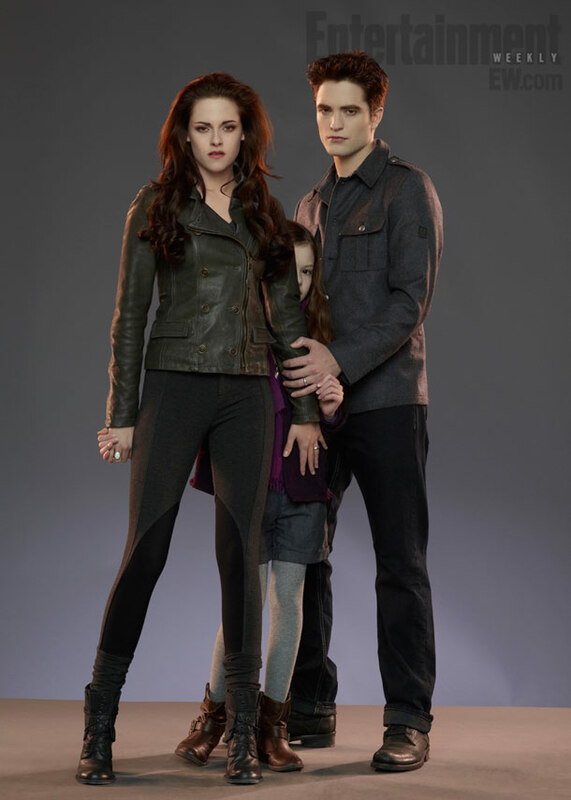 Summit Pictures released the first glimpse of young Renesmee Carlie Cullen aka "Nessie" (played by Mackenzie Foy) in The Twilight Saga: Breaking Dawn - Part 2. It really is just a glimpse as the child is hiding (and being protected by) parents Bella (Kristen Stewart) and Edward Cullen (Robert Pattinson). While she is a newborn, Renesmee isn't a normal kid and possesses some supernatural abilities - which is a bit of an anomaly for vamp/human hybrids. And she'll reach physical maturity at age seven, although she'll look about 17. UPDATE: Entertainment Weekly has followed through on the tease with two full images of Renesmee and her parents, which will appear on the cover of their June 22 issue (hitting stands this Friday).